← How Is My Golf Handicap Calculated? 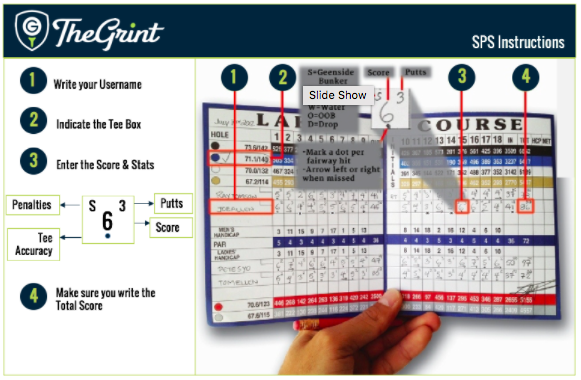 Do you like to keep your Score on a traditional and Paper Scorecard while you play? Do you still want to keep track of your Score, Stats and Handicap in TheGrint? That’s no problem. Keep track of your Score using your traditional Scorecard and at the end of your Golf Round, take a Picture of the Scorecard using TheGrint App and send it to us. We will upload your Score and Stats as soon as we receive it. 4. Select the Golf Course. Date (on the Top right). 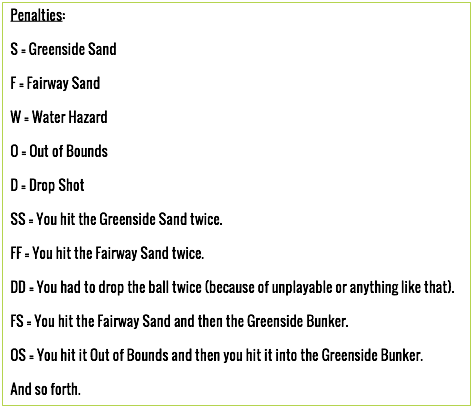 Tees and how many Holes you played. 5. If you played with another Grinter and kept his/her Score as well and they want us to upload their Score as well, tap on Select Player and find them or type their E-mail Address. 6. Tap on Next and then Tap on “Camera” so you can take a Picture of the Scorecard. Then leave it up to us! Monday – Thursdays between 10am and 6pm. Eastern Time. Friday – Sundays between 12pm and 8pm. Eastern time. This is how you should write down the Score and Stats so that our Team is able to upload your Score and Stats. The clearer you write everything down, the faster you will get your Score in your Account. Now that you know you don’t have to upload your Score yourself while playing… You can relax, play your Game and leave us the hard work of transcribing your Score for you. This entry was posted in TheGrint Instructions, TheRange Blog and tagged golf, golf app, Scorecard, TheGrint, thegrint app. Bookmark the permalink.